I had the first book of the series pending and when I saw the second available as read now on NetGalley (I am linking that below with the cover page) I decided to continue my trend of reviewing multiple books of the series simultaneously since I do not know if and when I will read the third (which comes out in march). 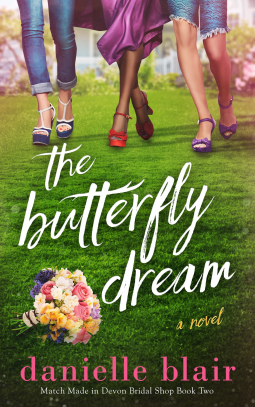 I am a sucker for multiple books of a well written series that tackle a bunch of friends/siblings till their happily ever afters are all well settled. That said, I need to comment that the covers for both the books of the series are too generic and do not match the description of the sisters, their attires, physical sizes and only the fact that one of the them is not the same ‘colour’ as the other two is indicated in these standard covers. I am not saying they are unattractive or that it wasn’t the first thing that caught my eye but they do the story inside a disservice. The second book can be read without the first but if you end up reading the first, do not miss reading the second because this is not a standard happily ever after type of tale and you deserve to know what happens next. Alex is home for her mother’s funeral. She hangs on to her life by the tight threads that she ties between her and all her problems. They keep her upright till a couple of them snap. Charlotte is the poster girl for a happily ever after on first glance, good kids, a loving husband and a standing in the society that she’s lived all her life. There is a third sister thrown into the mix now, someone whose very existence is a mark of the fact that childhood rose-coloured glasses do not always show the true images. There is turmoil and more than one breakdown in the book but the writing was pretty great and not all straightforward. There is as much revealed to us between the lines as there is by the actual presentation of facts. 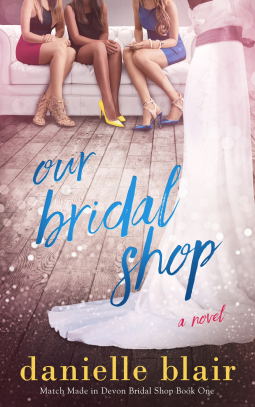 There were times that I had tears in my eyes and times when I cheered for the trio to make their way to stability as they manage a bridal boutique. This first installment is mostly Alex’s story but we do not ignore the other two. The second installment of the series is Charlotte’s story. She is feeling like the odd one out next to her well-travelled and successful sisters. She is the heart behind the bridal store and she has kept their trio ticking. Now all that work has finally gotten to her. She wants something different and is not completely sure what. Her husband struggles to catch up, always two steps behind her and trying to woo her back to her role as nurturer and fixer in the family of five. She is more real in these pages than Alex was in the last book but we get a look at Freesia (the third sister)’s heart and mind as well. Charlotte struggles to maintain sanity while trying to regain control of a life she never realised she lost control of. I was in tears for more parts of this tale than of her sister’s but there times I just wanted to shake all of them, which may have been the purpose of the narration all along! This is a good series to pick up if you like reading about strong independent women who are reaching a new happy equilibrium in their lives! The only reason I was unable to give both a full five stars was because there were too many instances of adultery as a plot point, making it a teeny bit repetitive.It is a quick read and a good one as well.